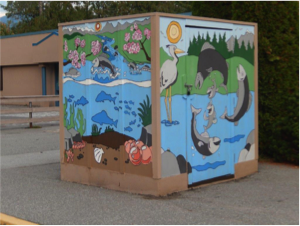 As the WSP on the Coquitlam River goes forward, the students even designed the utility box at the front of the school to fit their WSP theme of the River. 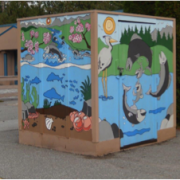 They painted it, with some help from a local artist. 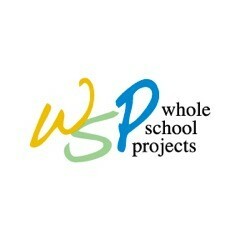 They have also nearly finished a tile mosaic on the River theme that is to go up in the front foyer of the school. 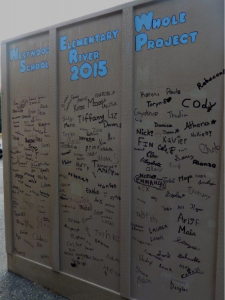 Below is a side of the box on which each student has written his or her name.